Sky Waikiki, Hawaii’s most refined rooftop restaurant, lounge, and nightclub has become a favorite destination for Honolulu’s young professionals. It now features the Aloha Life Cocktail Menu. 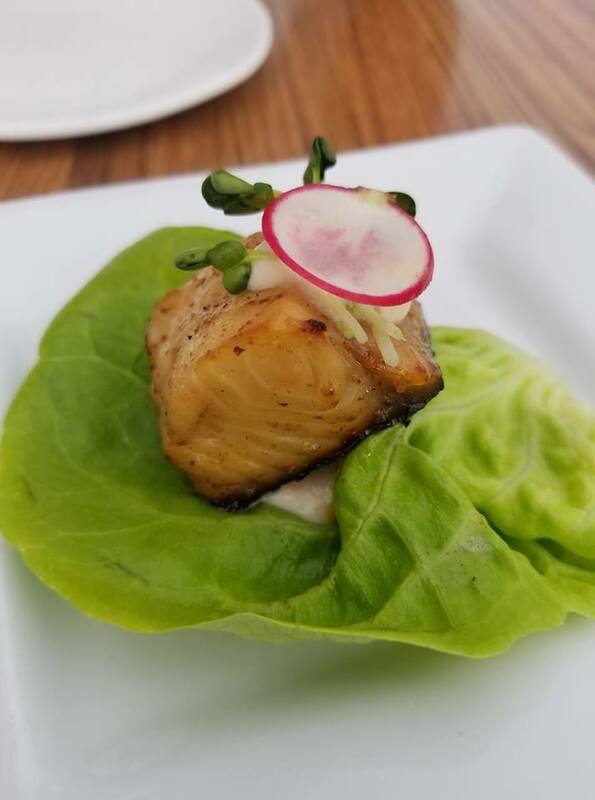 Located on the roof of the Waikiki Business Plaza at the corner of Seaside and Kalakaua in the heart of Waikiki, Sky Waikiki has become the go-to spot for those looking for upscale dining and entertainment. 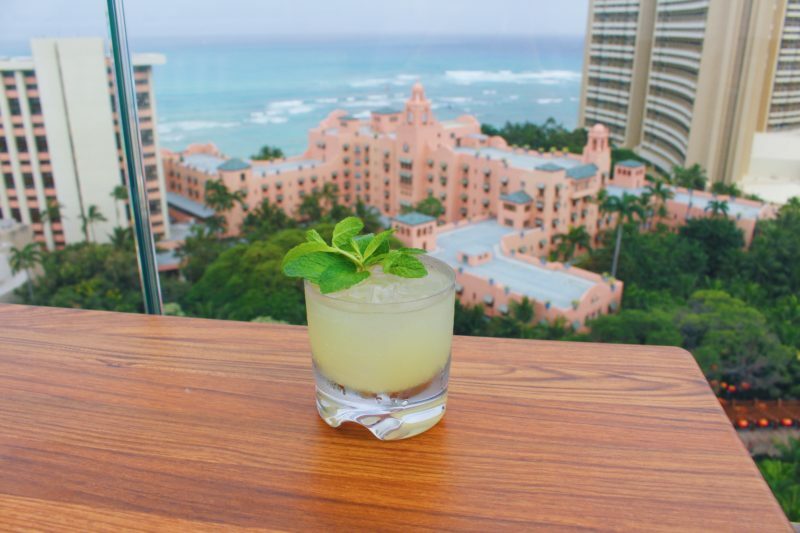 Its spectacular rooftop views of the Waikiki skyline and dramatic sunsets make for the perfect place for a serious cocktail with carefully curated ingredients. Sky Waikiki has a dress code. Resort casual for sunset dining and cocktails, and collared shirts, dress pants and shoes for nightclub activities. Cocktail dresses and high heels are recommended for the ladies. Flip flops and t-shirts simply won’t do in the sophisticated atmosphere Sky Waikiki is known for. The Sky Waikiki Maikai Mojito. Photo Courtesy. Sky Waikiki recently unveiled its new Aloha Life Cocktail Menu with a lavish rooftop celebration. The menu features 12 custom cocktails “crafted to evoke the fun and carefree island vibes of Waikiki.” Three of them are non-alcoholic for non-drinkers and designated drivers. All contain exotic and carefully selected local ingredients. They were created by Sky Waikiki’s Director of Mixology Jennifer Ackrill. The unveiling event was a major success, with invitees enjoying cocktails that put a unique Hawaii flourish to popular cocktails. Rather than traditional rum, the Maika’i Mojito uses high-end Ketel One Vodka and pineapple along with mint and agave. The King’s Mai Tai uses Johnny Walker Red and orange liqueur. Jen Ackrill’s take on the venerable “old fashioned” is the Hala Kea Old Fashioned, which uses Bacardi and banana rums with coffee-flavored bitters. The Mauna Kea Martini features two types of gin and Ketel One Vodka, and a tincture of jalepeno. The sophisticated ingredients of the Aloha Life Cocktail Menu are on a very different level than your standard gin-and-tonic or vodka-soda. Sky Waikiki’s food and drink menus are tailored for patrons with refined tastes and style. Folks spruce up. Sky Waikiki’s food menu features island favorites like spicy ahi poke, a Sizzling Surf & Turf with striploin beef and grilled lemongrass shrimp in an Indonesian pepper sauce. Executive Chef Lance Kosaka, who studied under legendary Hawaii chef Alan Wong, is a veteran of fine dining in Honolulu and has been profiled in a variety of Hawaii media outlets. His creations at Top of Waikiki and now at Sky Waikiki have been received with glowing reviews. Sky Waikiki’s ever-growing popularity among Honolulu’s urbane and young (and young at heart) means that reservations are a must. They do offer walk-in seating but availability is extremely limited. The rooftop mecca’s social media pages are full of smiling, attractive people sipping champagne and cocktails with the nighttime lights of Waikiki sparkling against a pastiche of brilliant sunset colors. It’s always happening at Sky Waikiki. Sky Waikiki also offers Nightlife VIP Tables, a guest list, Ladies Night on Fridays, and a 15-person Karaoke Room. It is also available for private parties. Events welcome the hottest local and international DJs, as Honolulu sophisticates rub elbows in an atmosphere much like the swankiest nightclubs in New York or Los Angeles. It’s the Aloha Life.